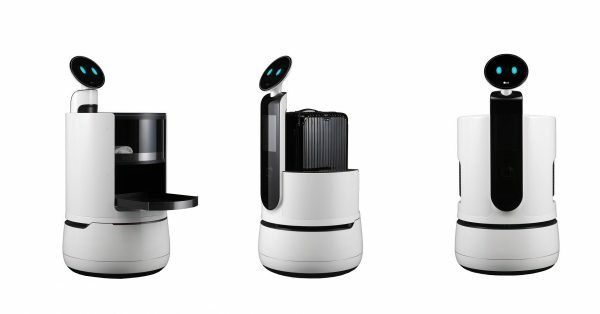 The three new concept robots from LG Electronics are aimed at the services industry, in areas like hotels, airports and supermarkets. A Korean tech giant on Thursday announced new robots that take aim squarely at the jobs of many services industry workers around the globe. There have long been predictions that advances in artificial intelligence and automation could end up eliminating millions of jobs over time, and tech companies have been testing robots to carry out a variety of tasks — from working in a pizza parlor to making deliveries that could greatly affect the services industry in the future. For its part, South Korean giant LG Electronics is the latest company that is planning to sell robots to solve tasks currently completed by humans. If popularized, such technologies would likely be bad news for many of those working in the services industry. The International Labour Organization said as of May that nearly 50 percent of the global workforce is employed by the services sector. That includes trade, transportation, accommodation, food and other administrative and business services. Meanwhile, a report released by McKinsey & Company last November suggested that by 2030, as many as 800 million workers globally could be replaced by robots. Even if automation adoption is slower, as many as 400 million people could still be affected, the report said. This is not the first time that technological developments are displacing labor markets. In the manufacturing sector, for example, companies introduced conveyor belts and assembly lines at factories in the early 20th Century that brought down labor costs and temporarily put people out of work. According to McKinsey, new technologies often create more jobs than they destroy, sometimes in areas that “cannot be envisioned at the outset.” To do that, displaced workers need to acquire new skills. And the service might even improve!! Well, you know, no tipping, there when you need them, less to no listening at keyholes and they could be around even while you’re dressing. Probably lots of other benefits, too, eh??? Drape a wash cloth over their eyes at certain times!